Discussion in 'Analysis and Research' started by marcoasd, Jul 10, 2018. It's July and WCOP is coming to an end within days. For me, it's offseason time. WCOP doesn't always define nor reflect the exact state of RBY OU's metagame, but this time something came out strongly: this metagame really pushes you into using Starmie lead. Starmie has a damn high win rate (so Zapdos, which unsurprisingly happens to be one of the things that can sweep over para'd Starmie lead). Starmie lead sometimes has Thunderbolt to get an advantage in the ditto in spite of Psychic being spectacular against nothing less than Normal-Types. That's sign of dominance. The last time I wrote, I talked about Alakazam eating Starmie alive in a straight 1v1 lead matchup - Alakazam will always see play due to its sheer raw power - so in first place, why is Starmie so good right now? Answers look simple to me: Double Edge Exeggutor and Reflect Chansey became super common, and they're both things that make it easier for Starmie and harder for Alakazam - which stacks up with Starmie's better game against the two badasses of RBY OU (Snorlax and Tauros). On the other hand, BeamBolt Chansey is food for Alakazam and hits Starmie harder. Also, Lapras' usage dropped dramatically with Rhydon and Zapdos making up for a big percentage: Lapras happens to be the major sleeper that can break through Starmie (unless you want to consider Gengar for that purpose). What can answer the trend? Talking about the S4, the first thing that comes to mind is BeamBolt Chansey: Reflect Chansey overtook it because it does way better against a super centralizing pokemon like Snorlax, and going back to BeamBolt Chansey on a consistent basis for Starmie alone doesn't look like the way to go to me. Mega Drain is a move that needs proper timing and prediction, and it's very specific: I see it pulling the trick occasionally, but I don't see it becoming a staple like Double Edge. Amnesialax is always dangerous with the proper setup (mostly, paralysis support), and it can take on Starmie. Hyper Beam deals a lot of damage and can get the KO on Starmie lead: Starmie is bigger than Alakazam, but Hyper Beam is bigger than Starmie too. Besides from S4, let's go through each case for the pokemon who got their usage cut harshly: Jolteon, Jynx, Gengar, Lapras, Slowbro and Victreebel. Zapdos enstablished itself for the non-lead position. Still, Jolteon lead immediately comes to mind as an option to scare Starmie away; it's been discussed already, and eventually every lead which is unable to perform after getting statused almost disappeared from the metagame. Jynx will give you the first sleep, and Starmie (especially the Psychic variant) isn't so good as Alakazam against it. Jynx needs to be babied a lot, or maybe it just needs a build which is more dedicated to closing out games quickly rather than playing the RestLax plan. Gar's case is tricky, because it could be used as a non-lead. Not only its Thunderbolt is scary for para'd Starmie: Gengar is a pain for some RestLax variants. On the other hand, Hypnosis' accuracy is always worrisome when combined with a poor typing, lack of a STAB and inability to perform under paralysis. Still, Gengar looks interesting, at least occasionally. in spite of having dropped this a bit myself, I think Lapras is wildly underrated. Lapras is great early in the game, and it's something that para'd Starmie doesn't want to face. It requires some serious planning against Zapdos teams, and many players don't like Physlax over RestLax: it makes the team less handy. RestBoom Snorlax is risky for obvious reasons. there are many filler pokemon that can sweep over a para'd Starmie (or at least perform well against it at some point in the game), and Slowbro is one of the scariest if the opponent's team is left with no answers (Explosions). If Starmie doesn't have Thunderbolt, Slowbro will easily set up and pose a threat that goes far beyond KOing Starmie. Victreebel obviously cuts para'd Starmie like butter. Unfortunately, Victreebel will be either the pokemon that sweeps everything or it won't get to fight with Starmie. Sleep Powder and Wrap missing (mostly, against Chansey or Exeggutor) and the risky matchup against Tauros hurt its chances even more than the terrible 1v1 against Zapdos. Partnership with Exeggutor yes or no? Victreebel sees some bit of play already, nonetheless. Who did not make it, in my opinion: Alakazam (6th), Golem, Persian, Cloyster, Dragonite, Moltres, Articuno. All in all, RBY OU has become boring over the time and it's in good part due to lead wars. You can see the same approaches over and over again and at some point, you have to realize that you're depending on RNG. Active players need to either find answers to the trend in things that can outplay Starmie lead or at least pull a surprise on their opponents, or just join the bandwagon. autumn leaves, Christos, Disaster Area and 6 others like this. Personally I have started to use more starmie lead in the latest months, especially from the PPL onwards. I agree with everything you said in the article, but I continue to support the clear superiority of starmie lead with psychic, despite Tbolt may be useful in ditto and vs Slowbro, given the huge use of RestLax in recent days. Starmie without Psychic is totally walled up, except for exceptional lucky breaks, by RestLax, which, indeed, can take advantage of no-psychic mie to spend more "quietly" sleep turns. Tbolt Mie also appears to be walled even more brutally by Chansey and misses a lot Psychic vs Gengar, Alakazam and other normal types. The choice of Thunderbolt is more than understandable sometimes, but in my opinion we must think well before giving up Psychic, which I think remains by far the most solid choice. What is more certain is that in this moment in rby there are two great leads that dominate, instead jynx, gengar and jolteon (which could possibly go up in usage thanks to the spread of starmie lead), are more unused than ever. Finally I would like to say that I really appreciated this article because I think it was interesting to analyze the growth of starmie lead, so I thank Marco for doing it. autumn leaves, Neon and Ponty like this. I sometimes didn't use the FriendlyMie moveset, mostly because I valued Thunderbolt's additional coverage. I usually ran Thunderbolt if I had additional physical prowess, though (Rhydon in the back), since it's harder to break through Chansey and Alakazam without Psychic. Well I guess I got ahead of a trend for once since I've been spamming lead starmie for a very long time now. I'm sure we can find ways to break it though. My personal preference is typically using Victreebel (or occasionally Venusaur). It does have a few downsides of course: Razor Leaf, Sleep Powder, Stun Spore, Wrap, and Hyper Beam all have imperfect accuracy, and you need Starmie down to about 80% or so to actually be in Razor Leaf KO range (which is harder to achieve than it appears!). Still, Victreebel is great for putting pressure on Starmie and getting positive trades for it (or maybe even getting a sweep) and it's a Pokemon that - unless u run like a non-lead Gengar - you can't ever be certain of playing around, as it almost always has an option that can mess you up whatever play you make if the Vic user makes the correct prediction. In fact, in that regard, it is excellent at opening up games - and this goes for SD AND status platform variants - in fact, using both variants makes it stronger, as the threat of SD Vic can enable Wrap Vic to get paralysis on crucial targets. If you run it not alongside egg it does open up a vulnerability to Rhydon aggression, and it is what it is: you need to make aggressive doubles and so on to prevent it being too heavily exploited. If you run it alongside egg, though, you have a ton of overlap: Vic's functionality relies almost entirely on being able to get sleep. On the other hand, letting one go down (either in return for some KOs with Vic Hyper Beam, or a KO with Egg's Explosion) and then revealing it once the opponent sacks their sleeping Pokemon can be dangerous. It also makes a team massively weak to Ice-types and Zapdos, so I would rather run a Rhydon or something alongside it. Vic is also great at abusing RestLax, even better than Egg because it's not blocked by para'd starmie. In short, Vic is really good at opening the game up against a lot of common early game Pokemon (para'd Starmie, RestLax) in ways that no other Pokemon can, but it also opens up defensive problems, struggles a bit with the common Zapdos, and is cockblocked by the rare Gengar. It's a good counterpick against a lot of stuff but has real downsides too. I talked the most about Vic because I understand it best (I am using it in games more than Exeggutor at the moment...) but I think a lot of the other stuff on that list could definitely help open the game up and need to see more use. 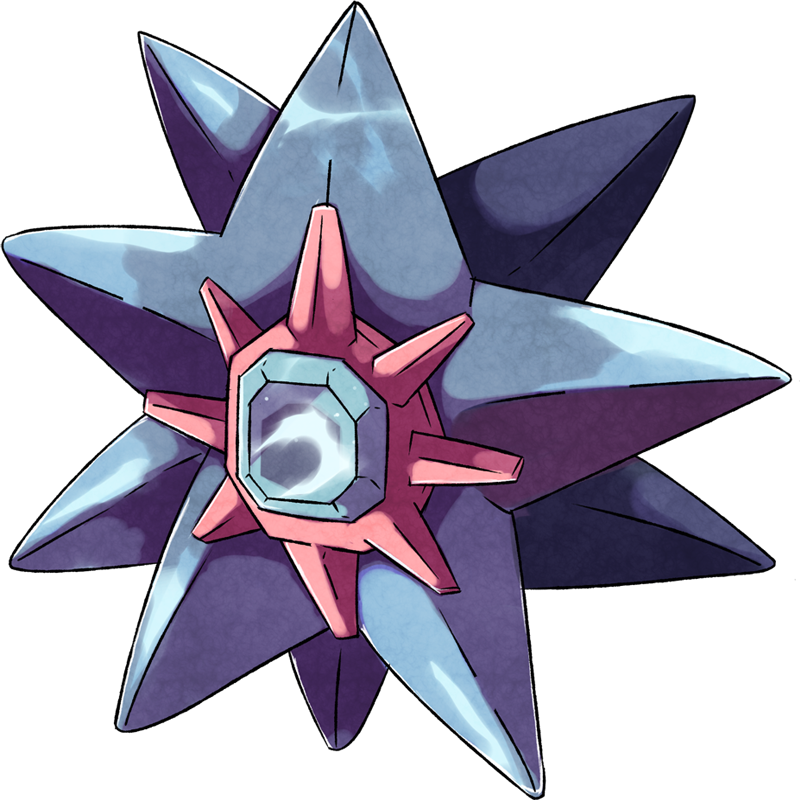 I would also think about Cloyster a bit - one of the things it can do very well is explode on Starmie. Surely it means it deserves more of a look? It is kind of an awkward fit though in practice, admittedly. Props for making this thread. Well, Starmie is on the losing end against Alakazam and Chansey (unless it's vs a TBoltless Chansey in late game) anyway and Rhydon teams have a bad time against Reflectlax, especially IceLax. The point of using TBolt Starmie + Rhydon is getting the first sleep and the extra of having some SE on Water-Types. The bottom line with Victreebel is that you need to hit Sleep Powder, no matter the moveset, or you'll pay the price of getting statused and blanked out. Rhydon and Victreebel are both weak to Tauros, which is even worse than being weak to BeamBolt; if anything, Exeggutor can be used as a bomb with Victreebel as a backup sleeper. Not the best plan defensively, though, but that's just Victreebel and you will be fine as long as you keep yourself out of positions where you're getting punished on the physical side (maybe a SelfD Snorlax variant can help). Cloyster can work at times, but it needs Starmie to be para'd in first place - which won't always happen - and Explosion could end up hitting Chansey; anyway, Exeggutor can do the same (same ATK, maybe even more reliably) in case you have a backup sleeper: you need to guess whether you prefer to boom Cloyster with Exeggutor in the back or you want to boom Exeggutor with something else in the back. All in all it is one of those early trades (Snorlax vs Chansey is the prime example) where you just send your prayers like "may the matchup be with me" and I don't like the idea of trading my 6th slot for a lead (with the aforementioned conditions and maybe getting forced to use Tauros to revenge kill) as the best case (or at least planned) scenario. I think I'm looking for ways to get profit against Starmie, and other pokemon can do that. I have run Rhydon+Victreebel with Starmie>Chansey before (with a wrap vic on that team) and it worked well. Also, a lot of times, vic can actually force damage (sometimes heavy damage) on Tauros. It does open u up to things defensively, but it basically comes down to, can u execute your gameplan before your opponent executes theirs: if you can, you should be fine. We all know how the metagame looks at the moment. A lot of Reflectlax and Reflect Chansey, which marco already said. Starmie (with Psychic) matches up well vs those (vs Chansey you're usually not winning with Psychic though, Starmie is just not as powerful as Alakazam to do that, but you also don't lose anymore to Chansey, which has been Starmie's biggest issue). In Addition to that, Reflectlax is easier pressured when ur Exeggutor can actually threaten sleep, which is why a sleeper lead is not that great at the moment. Alakazam lead mirrors feel terrible! you can flip a coin who gets fully paralyzed first and even if it does not seem big, that guy is already behind. This tiny para can snowball if the player who is in front skillfully makes the right predictions guesses right on, for example, Chansey vs Exeggutor turns or gets some additional good RNG (like a Snorlax crit). It is way easier to lose control of the game when you lead with Alakzam compared to when you lead with Starmie (which is also in part because people equip for Zam more than for Starmie which can be seen in Chansey movesets going for Seismic Toss more often than for Thunderbolt and Exeggutors going for Double Edge very frequently while Mega Drain is still a rare sight). "Good players" just don't want to give the game out of their hands as easily, hence they use Starmie more often as a lead, because its defensive utility makes it not as easily exploitable once it is on the bad end of some RNG ( a full para). So you are stuck with Starmie. But hey, it is a great Pokemon. But if the metageme shifts again (maybe) towards stuff actually packing some measures vs Starmie more often again, it will become less popular again. The price to pay is high though, MD Eggy is underwhelming, when you don't face a Starmie and Thunderbolt on Chansey means you don't pack Reflect and people nowadays just can't go without. Alakazam becomes annoying again, and that is probably worse than Starmie being annoying. I have the feeling that actually removing Alakazam from the equation would result in a better metagame. But everyone (just a few people) I have shared that thought with were not convinced (I'm not even sure I am). It's a crazy thought though, since Alakazam is not broken (Snorlax and Chansey, those are 2 broken Pokemon right there). Not that RBY needs fixing... it's fine the way it is. peach_nair and Disaster Area like this. We all know how the metagame looks at the moment. We have some clue, but I think we never know exactly. It would be funny to guess usages and win rates before a big tournament starts. Starmie and Alakazam have roughly the same usage in WCOP, and I wouldn't dismiss Alakazam so easily - it just got it bad this time. Reflectlax is easier pressured when ur Exeggutor can actually threaten sleep, which is why a sleeper lead is not that great at the moment. I'm not sure about this: the most common teams work that way nowdays, I won't deny that. But that happens because we got stuck into that, there are very few guys who use different solutions (shorter games, different movesets) but that doesn't mean they're bad. It looks like we all agree that those stats pretty much reflect what we think about the situation, aka the tournament/experiment is somewhat confirming hypothesis. So, I think we solved the current state of RBY OU, not RBY OU itself (if that's even possible). They're terrible. Starmie dittos aren't great either: there's a bit of scouting and eventually the first sleep or first KO will depend mostly on things that are out of control. Double Edge is decent against multiple targets, but its usage was enhanced by Alakazam's scary starts and in a world where Starmie is abused I don't see it being as great/popular. Starmie might be the best pokemon among those ones who don't get the target on their heads, but hey it just got exposed. Mega Drain might be an answer to the trend, and even though I don't like specific moves at some point you've got to do something. Reactions will take time, and I think there are ways to deal with both leads (yeah you won't overkill both) - Starmie/Zam, Double Edge/Mega Drain and SToss/BeamBolt make up for a lot of combinations, and that's early pokemon only. To me, it looks like the real curveball might be switching to Chansey on TWave turn 1 at this point. RBY OU is small already, I don't see an argument for banning a pokemon that is getting more and more downsized. Looking at the numbers it put up, this is the absolute worst moment to go for it. Well, I didn't ask for a fix here - I just highlighted a glaring trend, as win rates show, that players will look to answer. At the end of the day, nothing is strictly broken in terms of being extremely hard to be dealt with - we're witnessing some boring scenarios early and a lot of games slipping out of hand in a fashion that is pretty typical of gaming which will happen anyway forever, I guess. But again, other than that I don't think it will be a static situation. maybe this is an absurd question but what about leading with slowbro? 2 the “idea” (to me) of using a slowbro lead is to force or at least pressure opponent into activating sleep clause in the first few turns which specifically reflect chansey and lax variants other than fishlax appreciate a lot, and generally forcing an early sleep can give you momentum by taking away opponents options. sleep moves are the biggest problem for slowbro in this meta but this flips that on its head. i think slowbro actually isnt bad as sleep bait it can still wake up late game sometimes bc of its good bulk, its basically never going to wake up and sweep with amnesia but it might accomplish something important for the team such as paralyzing tauros. 3 often against lead slowbro opponents with zam or mie lead will have to switch directly to egg (into twave). [a ground type switchin (rhydon) is possible since slowbro will basically always be clicking twave but against psychic slowbro rhydons matchup isnt great, and lead slowbro might actually run surf for the pressure against zam tho that does leave it very open to gengar], and egg is the main sleeper and the sleeper that least cares about switching into twave. *even after sleeping slowbro opponent doesnt gain much if any momentum. eg say egg switches into twave so slowbro takes sleep powder at +2. egg can barely damage a +2 slowbro (with any moveset) so egg user can either stay in and get chip damage but letting slowbro burn sleep turns, or try to gain momentum by switching in tauros but if slowbro wakes up on the switchin you gain momentum instead. (best switchins after sleeping +2 slowbro are prob electrics (or rare gengar) but not every team has an electric and electrics are easier to switch into anyway). 4 if you do face a lead jynx or egg you do take sleep before getting paralysis but you still dont rly lose momentum (except to mega drain egg) bc they can only chip slowbro. the only rly bad lead matchup is gengar or i guess jolteon but gengar is a bad lead when zam and psychic mie leads are dominant and jolteon isnt rly good anyway. 5 also tbh its rly hard to fit slowbro onto a team, it doesnt pair well with most leads and it isnt meant to stay in the back either. the lead position didnt use to be an option for it but i think now it is and the easiest spot to fit slowbro into. and has been noted in recent threads the current metagame is favorable to slowbro in many ways such as psychic mie, stoss chansey and reflect lax, the big issues are sleep clause and where to fit it in teambuilding. Slowbro lead may eventually happen, I don't have an ultimate yes or no answer. It is slower than all of the sleepers for sure, and that means it won't TWave Exeggutor; even more, it's a horrible hit and runner and Rest is obviously clunkier than Recover, which makes it bad early in the game. I'm leaning towards no simply because the standard play (Chansey into TWave, SToss/TBolt a bit, then go Exeggutor and use Sleep Powder) in good enough to put you at a disadvantage unless you predict the switch with TWave. If you succeed in switching to Egg immediately (turn 0) against Chansey, you get the sleep but you still need something faster than Exeggutor to get profit; otherwise, all you gain is having Slowbro and something else in the back of the team (what?). Obviously, we're ignoring Jynx, Exeggutor and Gengar leads even though Gengar won't like missing and getting TWave'd and I don't see it going for the CH TBolt. It's pretty easy to fit Bro into a team: use a lead, S4 and Slowbro; live with the risk of facing a Zapdos, which you will go against with Snorlax/Tauros. Remove exploders and (at least) paralyse electrics so you can try to sweep. chansey switchin to twave does mean that running surf over psychic rly is not an option tho since chansey will just sit in front of +2 surfs, so rhydon switchin turn 0 is more of a concern. i dont agree with slowbro being generally bad early btw (outside of sleep clause), +2 psychics hit everything pretty well and it doesnt have recover but its also much bulkier, and it usually doesnt rly care about taking paralysis since after an amnesia or a special fall it outspeeds anything paralyzed (and ofc outspeeds nothing thats unparalyzed) so the paralysis speed drop doesnt matter. @ fitting on a team i mean that using both starmie and slowbro is bad defensively, and zam/slowbro is fine defensively but unless you are dropping egg thats a lot of pokemon without good/any physical coverage offensively. id usually rather run slowbro with a physical 6th to help break starmie zam and chansey, or maybe with a zapdos or even gengar (for tbolt starmie and also to take explosions aimed at slowbro maybe) as 6th rather than running a third psychic, and id prefer slowbro as a lead over any of those 6ths. I beat mister tim in 6 turns once (cos he forfeited) with lead slowbro. It's amazing if your opponent can't hit any moves. Btw, try twave amnesia psychic fire blast - u hit jynx with that too.